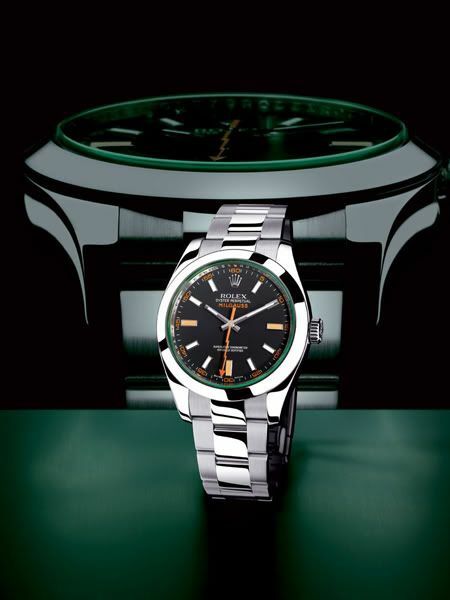 I remember being very enthusiastic about the re-invented Rolex Milgauss watches in 2007. I am a regular visitor of several Rolex forums, and most active on the Dutch Rolex forum, as writing/reading posts in your mother language still works best. It occured to me that only few forum visitors/members have a Rolex Milgauss in their collection (or as their only watch). When I just visited the sales corner of ‘das R-L-X’ forum, I noticed quite a few for sale, including those with the green saphire crystal called Rolex Milgauss GV. Although the odds were different one year ago, the Milgauss doesn’t seem to be an immediate hit as I expected it would be. The period where prices were over the list price is long gone already, except for the green sapphire model I guess. The regular models (white and black dial) start below 4000 euro. Although I don’t care much about block buster watches, I was clearly wrong about the future of the Rolex Milgauss. If you look at watches as an investment, it might be a good bet anyway. Rolex watches that do no sell very well at this moment, are probably the most sought-after watches in the (far) future. Think former Milgauss, 1960s and 1970s Daytona and (more or less) the Rolex Oyster-Quartz models. That is at least what I hope for with respect to my precious Yacht-Master 🙂 Oh, anyway… for those who have a modern Rolex Milgauss, enjoy your watches! 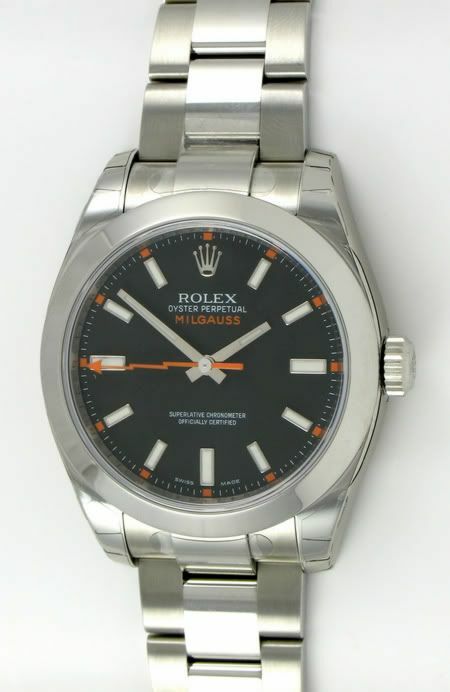 Rolex Milgauss 116400, a LNIB for sale at Bernard Watch Co for less than list..